In January 2017 whilst spending time with his 13-month old grandson, Bernie realised it was time to change. At a weight of 19 stone, with high blood pressure and borderline diabetes, Bernie decided to lose weight, stop drinking alcohol and get healthy. At the age of 55, he now weighs 13 stone 13lbs, his previous 52-inch waist is now 38 inches, he drinks no alcohol and says he feels great. Bernie used to be in the army and part of a culture of drinking alcohol, often without consideration for the impacts on his health and weight. Since leaving the army Bernie has maintained a good social life and alcohol was a big part of Bernie’s life. It was not unusual for him to drink 8-9 pints of beer on a Friday night out. He realised that alcohol contributed to an increase in the amount of food he was eating, as drinking was making him hungry and eat unhealthily when out socialising. As part of his lightbulb moment Bernie decided to stop drinking and has not had a drop of alcohol for over a year. Upon deciding not to drink, Bernie found it helpful to tell his friends and family about his decision and the reasons why. He stood up in front of his group of friends and told them that he was making this choice to “get his health in order”. He asked them not to buy him any alcoholic drinks or try to encourage him to drink, telling them it would be a waste of time as he had made his decision and would be standing by it. Bernie still gets to go out and socialise as normal with his friends in a pub and he still has a pint – but now the pint it contains soda water, ice and a slice! Bernie has now become the designated driver and he likes that he can be assured his friends get home safely. Bernie finds that not drinking gives him the strength to manage his food consumption and has been really helpful as part of his weight loss journey. He likes the fact that he can get up in the morning with no hangover and can play golf or take his granddaughter swimming and generally make the most of the day; which he couldn’t do before. His son has told him how proud he is of all the changes Bernie has made. He put his progress and successful weight loss down to being ready to make the change and making the decisions for himself. 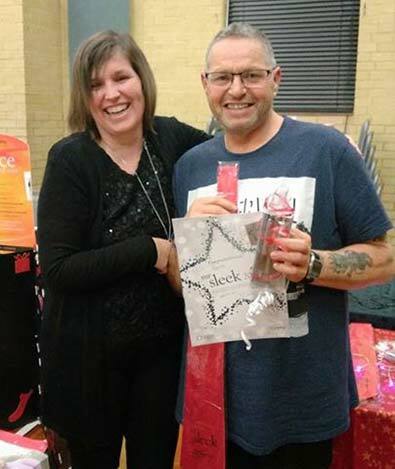 Following several lifestyle changes, some with support from LiveWell Dorset, Bernie knows he won’t go back to the weight he was and won't drink alcohol again in the future.